﻿ GrieeX - The Movie and TV Show Collection. GrieeX - The Movie and TV Show Collection Program meets all of the needs of enthusiasts with useful and easy to understand interfaces. 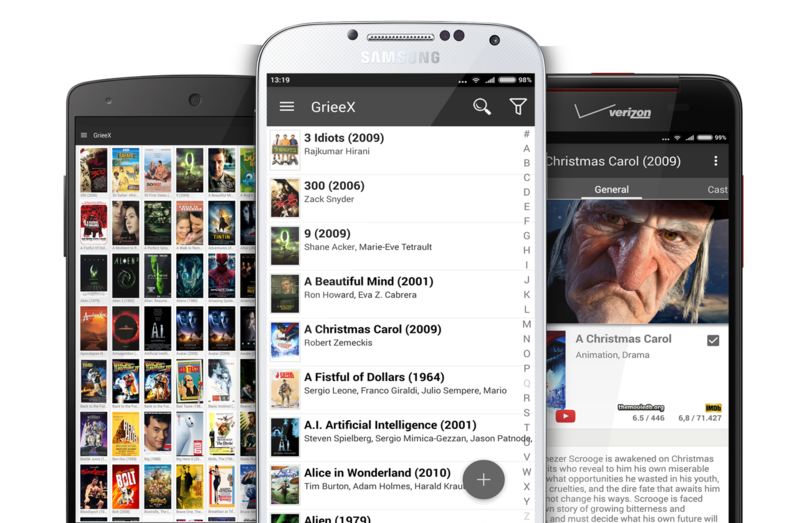 GrieeX is an application that you can manage and access to your movies and TV shows which are been kept in your archives quickly. 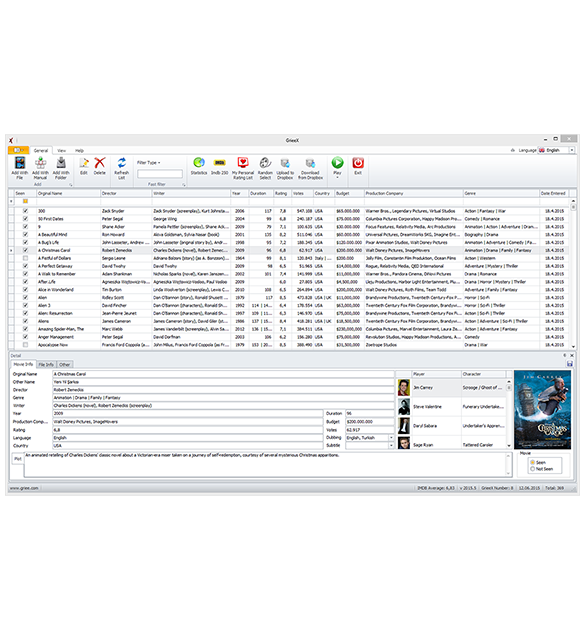 Only input the movie or TV show name into the application and let GrieeX handle the rest. 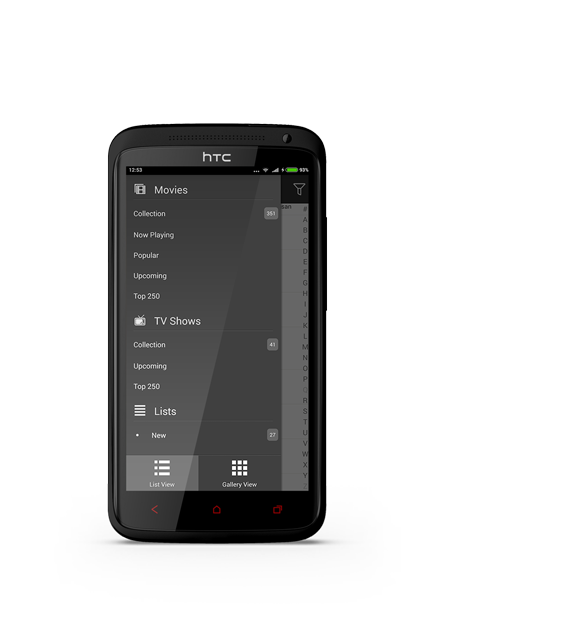 If you use the desktop application of GrieeX, you can export your movie list to your Android devices (mobile phones, tablets, etc.) 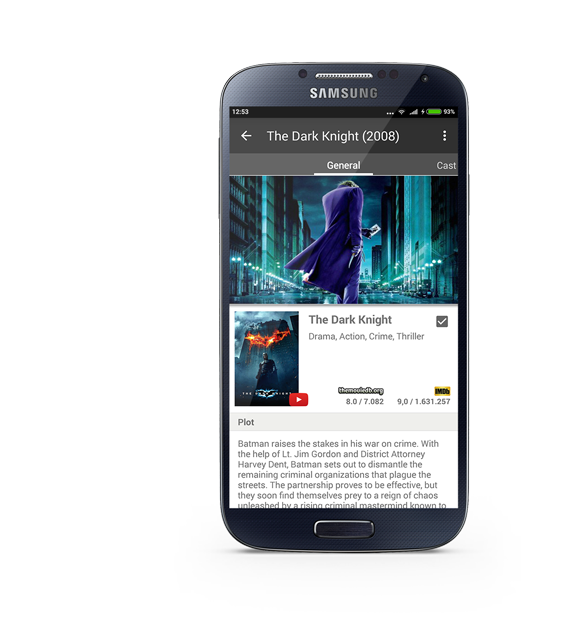 Backup your movie list from the desktop application of GrieeX to Dropbox and import them to your Android devices. That's all!!! If you want to use the app ad free, you should download GrieeX Pro. Besides, you will have the option to back up your lists to Dropbox. You can install GrieeX more than one device with your Android account at the same time. Although you uninstalled GrieeX after you've purchased it, you don't have to pay any fee to reinstall GrieeX. Movie details, Genre, Release Date, Cast, Crew, Rate, Runtime, etc. To read the file information to the movie. You can share your movies that are saved in your database by clicking on only one button as Excel format. You can transfer the movies that are saved as Excel format to GrieeX. You can update Imdb-date information with the help of Multi Update Module with imdb movies recorded automatically until you choose all or just one key. You can take general information about your saved movies by statistics. You can run your movies on GrieeX not by searching between the files more fastly. You create your own rankings by giving your personal scores.